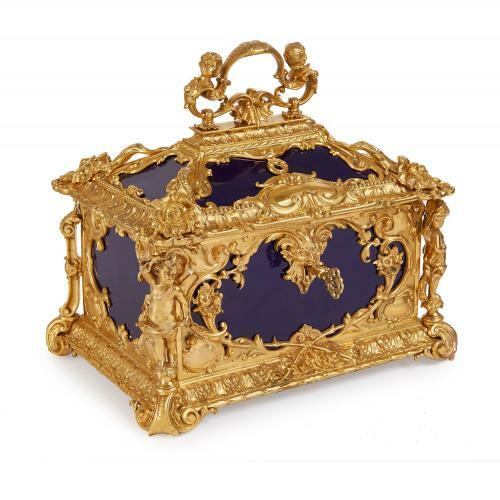 The royal blue porcelain of this luxury casket contrasts beautifully with the gilt detailing, making the work a fine addition to any collection. 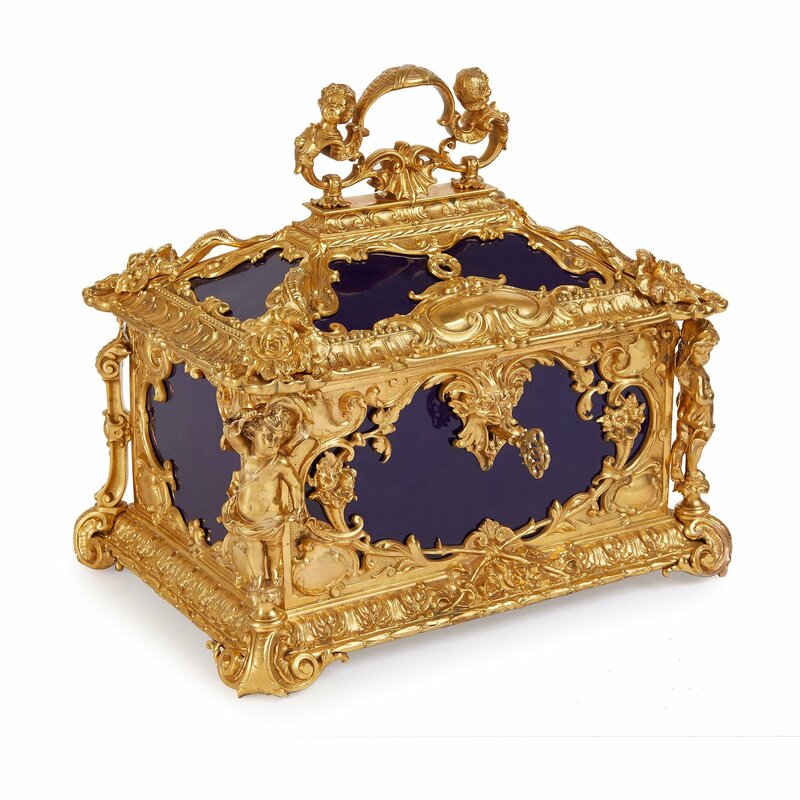 The casket features a rectangular porcelain body, which is set on four scrolled ormolu feet. 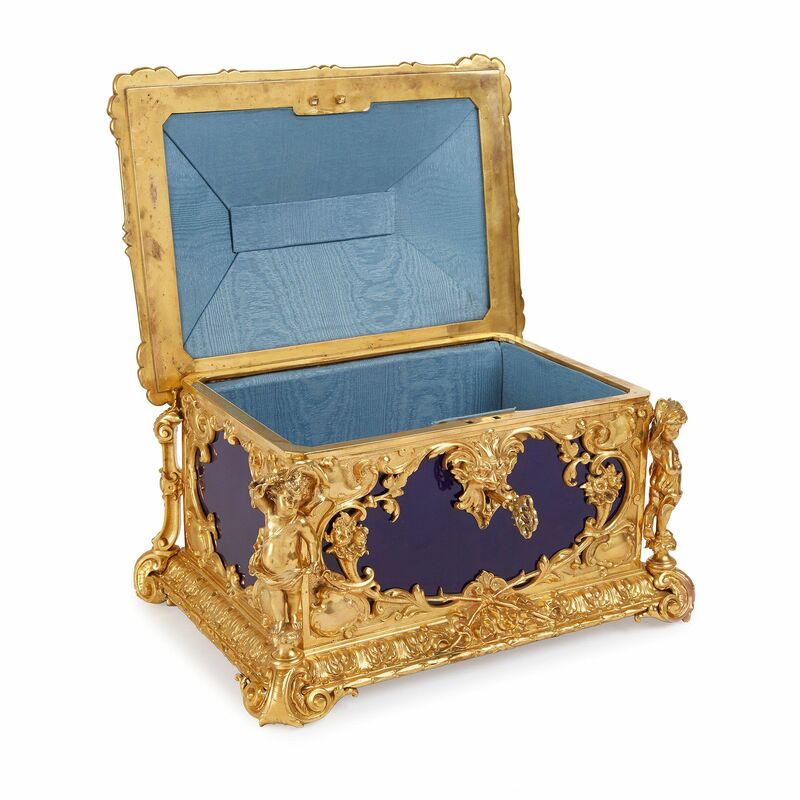 The body is decorated with ormolu guilloche-patterned bands and corner mounts, taking the form of putti sculptures, cornucopias, flowers, cartouches, and scrolled acanthus leaves. 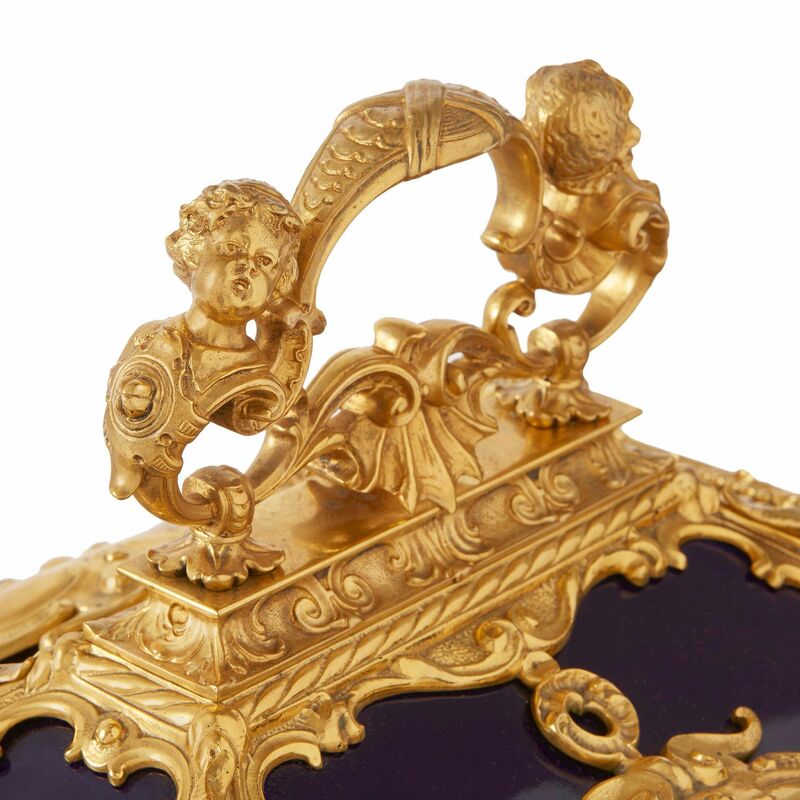 At the centre of the body, there is an ormolu escutcheon (lock) with a key. 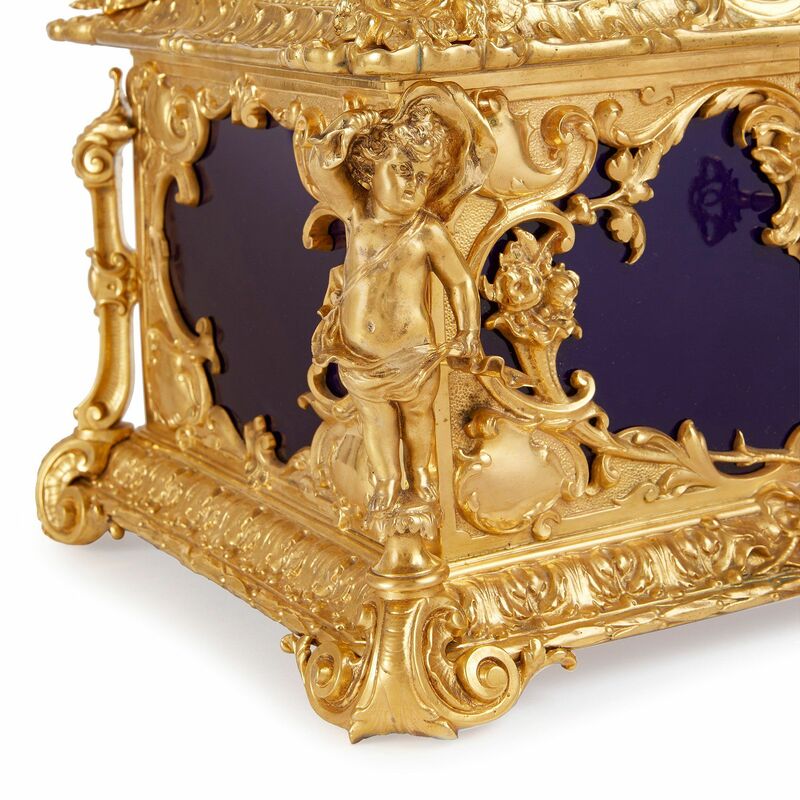 The casket is topped by an ormolu handle, decorated with putti busts. The porcelain bears sceptre marks, flanked by 'S.g.r.P', for the German Konigliche Porzellan-Manufaktur (KPM). KPM was one of the leading porcelain factories in Europe in the late 18th and 19th Centuries, and it continues to operate today.